NAPLES, FL, February 10, 2015, Ron Locicero, M.S. P.T., Physical Therapist for the Outpatient Services division of NCH Healthcare System, has been recognized by Elite American Health Professionals for dedication, achievements, and leadership in physical therapy. 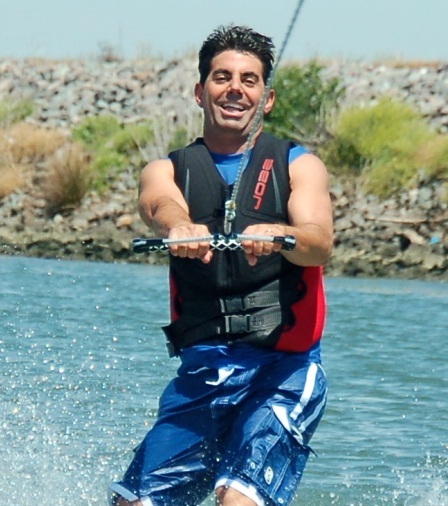 For nearly three decades, Mr. Locicero has been nurturing an abundant skill set, one that encompasses ever-growing clinical proficiencies in the specialized area of injury assessment and diagnosis. He has made a name for himself as one whom takes quality care of those with whom he works, including patients receiving worker’s compensation and people who are on Medicaid. 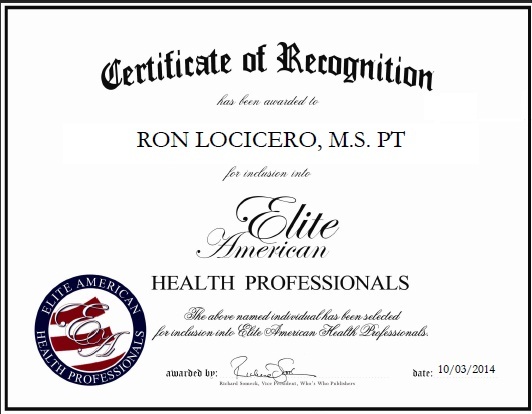 Lauded as a confident, bold, driven, ambitious and fearless health care professional, Mr. Locicero feels that the most rewarding part of his career is when a person feels like there isn’t much hope in their recovery from an injury or surgery, and they have a remarkable outcome in being able to return to a much improved level of function. What Mr. Locicero most likes about his job is that he possesses the ability to help people believe that their recovery is not only possible, but probable. He would advise other therapists to continue to strive to improve their knowledge and skills and not be complacent with the status quo. Contact Ron Locicero, M.S. P.T. This entry was posted in Physical Therapy and tagged patient care. Bookmark the permalink.